Yup, a third recipe. Don’t worry — back to crafts after this. I couldn’t help it though 🙂 I never ever bake or cook exciting things, so when I do I feel compelled to share. Remember Mean Girls and “word vomit“? It’s like that. … it’s blog vomit. Weird, but it sorta works. 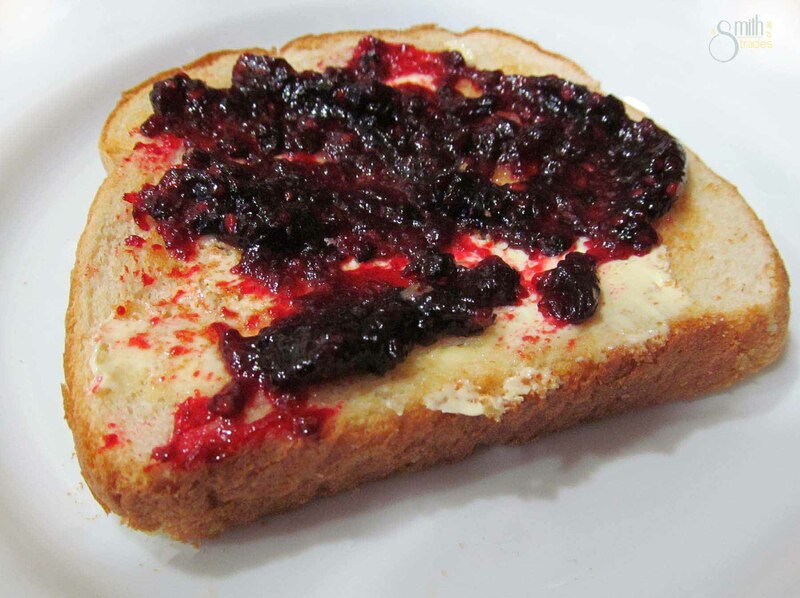 Moving on… After you are done making your amazing strawberry jam, try your hand at making some blackberry jam. I was in Costco and saw a huge thing of blackberries and had to buy them to make some jam for my momma. I know she loves her some blackberry jam. This recipe is fairly similar to the strawberry one. Here goes. 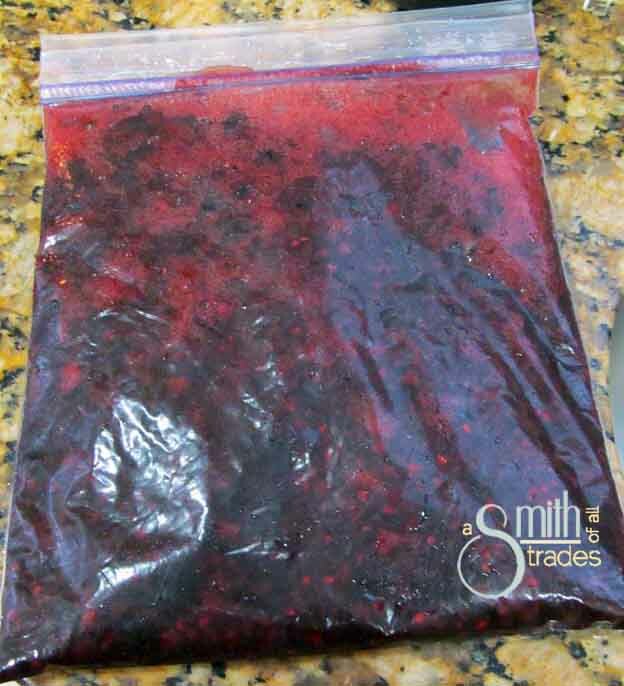 I filled a quart-sized baggie with blackberries and smashed the heck out of them. I didn’t want to chop them up, and they are soft enough that squishing does the trick. I poured my blackberries into my jam maker, adding a tablespoon of butter and 1.5 tablespoons of pectin. After four minutes, I added the sugar. I added 1 1/3 cups to this batch. Blackberries aren’t always as sweet as I’d like, so I added more to this jam than I did to the strawberry jam. Let the jelly maker do its job (remember, this can be done on the stove, too!) and can immediately after the jam is done. If you plan on eating some right away, put it in the fridge. Once it is cool, slather it on some toast an enjoy. Nothing like home made jams! I need to make a few batches – thanks for the inspiration! Sure thing. I just made a batch of blueberry. It was my best yet. SO YUMMY!